Welcome to the Emerald Coast Mazda Club!!! 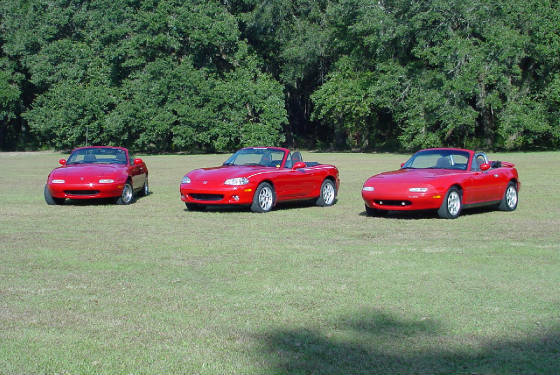 Azalea City Miata Club was founded in 2000 by Miata fans that wanted to have a great time with other Miata drivers in and around the Mobile and Baldwin county areas. The club was touch and go at times with no active dealer support, but we managed to get out from time to time and have some fun. 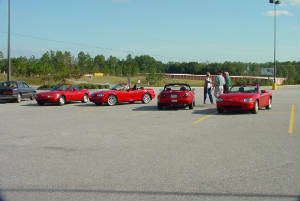 Emerals Coast Mazda Club is a club dedicated to the people that love the Mazda Miata in all its forms. It is a club that is made up of people from all walks of life that enjoy top down driving and and good time get togethers. It is also a club that recognises the automotive heritage of the Mazda Miata and Mazda cars in hstory and racing. There is a long line of top down roadster enthusiast cars leading to the Miata and more Mazdas are club raced every weekend than any other car... there is nothing quite like the ZOOM ZOOM experience. We invite you to visit us or attend an event. Our members are more than happy to answer any questions you may have about Emerald Coast Mazda Club or put you in touch with any of the great employees at Daphne Mazda.. !! !Stand By for the 2008 Racing Season!!! !! !Mazda will be running in the ALMS again!! !